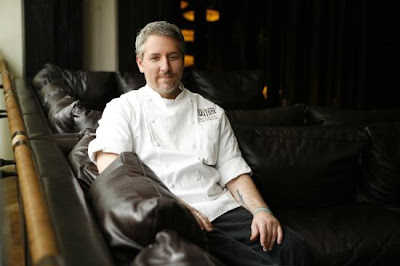 Chef Simon Dolinky will be taking over as Executive Chef of KELVIN at the W San Diego. Previously the Executive Chef of Saltbox Dining & Drinking in the Hotel Palomar, Dolinky has worked with some of the most prestigious and well-recognized chefs in the industry. Beginning his culinary career under the tutelage of James Beard award-winning Chef Sanford D'Amato of Coquette Cafe in Milwaukee, Dolinky took his culinary adventures abroad to Madrid, Spain where he landed as a pastry chef at one of the city's best Italian restaurants, Ristorante II Gusto de Milano. Returning to the United States in 2003, Dolinky delved further into culinary diversity, settling in New Orleans where he secured positions at August restaurant, helmed by Iron Chef winner and Food & Wine Best New Chef, John Best. A passionate and multi-faceted chef, Dolinky has also worked in the kitchens of Susan Spicer's Bayona restaurant and David English's restaurant, Cobalt. Locally, Dolinky has served as Executive Sous Chef to the acclaimed Chef Christian Graves of JSix restaurant at the Hotel Solamar in San Diego, Executive Chef at BLVD 16 Restaurant & Lounge at the Hotel Palomar in Los Angeles and most recently, Executive Chef of Saltbox Dining & Drinking in San Diego's Hotel Palomar. Monday, August 12 marked Dolinky's first day in the Kelvin kitchen. Dolinky will be adding his personal touches to the venue and banquet menus and adding new signature dishes later this fall.